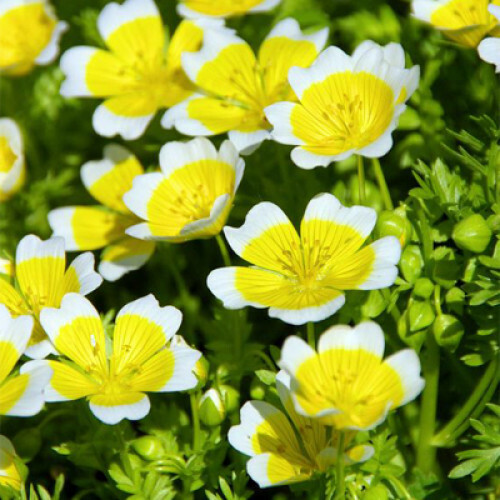 Refined Meadow-foam Seed Oil is a carrier oil referred to by its botanical name Limnanthes alba. Meadow-foam seed oil is expelled pressed from the seeds of the plant. It is a clear light yellow oil with a bland and neutral aroma.It is a preferred oil used in topical applications due to its emollient properties and non-greasy feel on the skin, similar to jojoba oil. t is resistant to oxidation due to naturally occurring tocopherols, and is one of the most stable lipids known and will actually extend the shelf life of less stable ingredients. As a result, it has an extremely long shelf life. It is a key ingredient in many different products such as suntan lotion, massage oils and lotions, hand/facial creams, hair and scalp products, cuticle repair cream, foundations, rouges, face powders, lip sticks, shampoos, shaving creams and various other balms. It is a key ingredient in many different products such as suntan lotion, massage oils and lotions, hand/facial creams, hair and scalp products, cuticle repair cream, foundations, rouges, face powders, lip sticks, shampoos, shaving creams and various other balms.